SUV's don't get much more agricultural than this. With a manufacturer name like "International Harvester" this 1978 Scout II Rallye was never going to be a sophisticate. 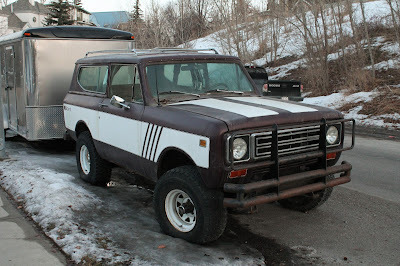 But sophisticates rarely last in the hard off-road world of real 4X4's. 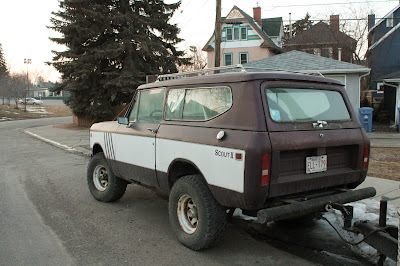 The IH Scout was produced in various iterations between 1961 and 1980. 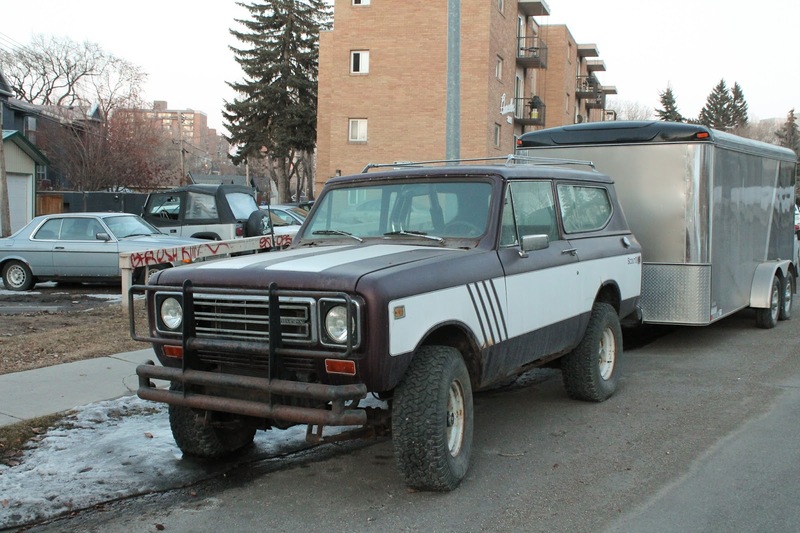 It really was a fore-bearer of the modern compact SUV. The later XJ Jeep Cherokee used a very similar format to much success. 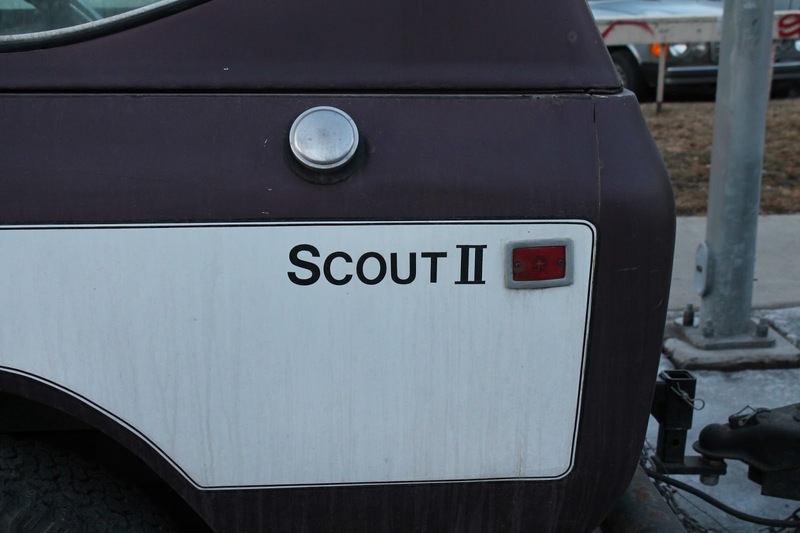 Early Scouts were very primitive and featured a fold-down windshield and a distinct lack of roll up side windows. 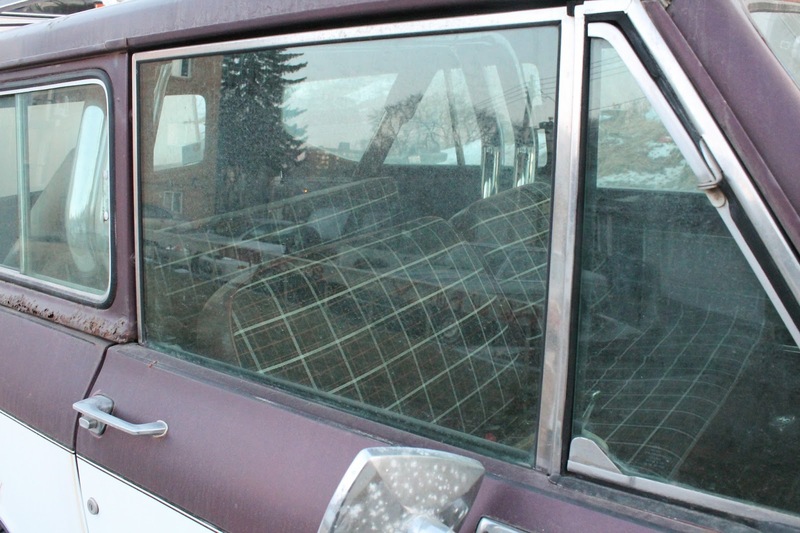 This later 70's model is a bit better sealed from the elements but the entire top can be lifted off for fresh air motoring. Imagine the grin you'll have passing those full-size Blazer and Bronco guys stuck under their non-removable cab roof! Though with only 163 horsepower (I love how exact that figure is) from a 345 cubic inch V8, you won't be passing much. 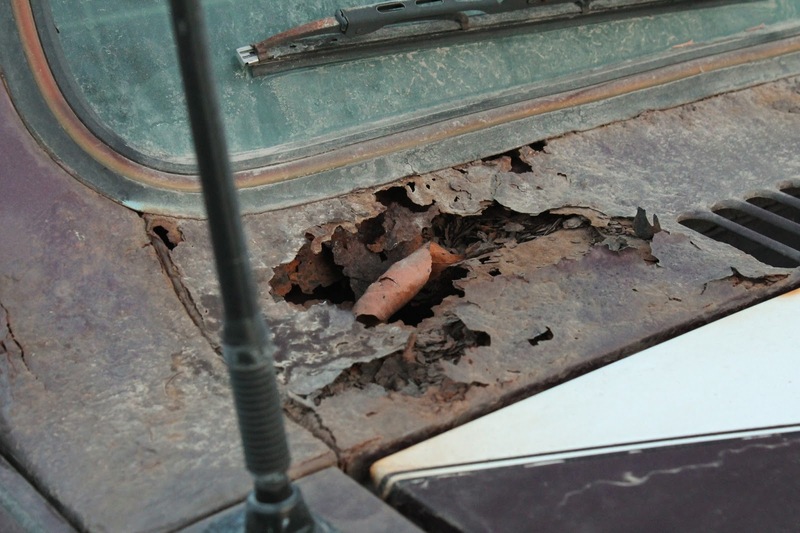 The fastest thing on this truck was the rust. Which could practically be heard dissolving that poor Scout in the quiet evening. This one has prominent rust holes by the base of the windshield and around the edges of the topper. The rocker sills are also starting to look a little "superleggera." 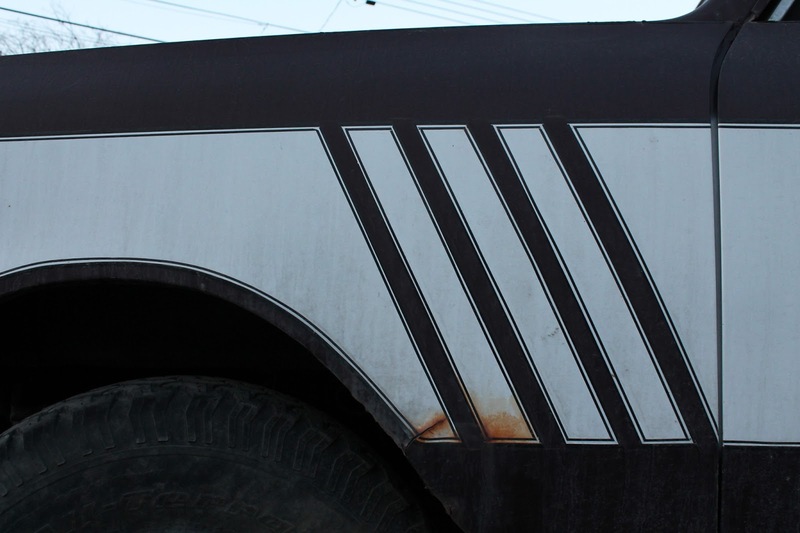 However, anything with 70's stripes and a plaid interior deserves saving. Who needs headrests when there's a chrome rollbar to smack your head into? Looks like this ones been put to work on trailer duty and one would be hard pressed to think that it does any better than 9 miles to the gallon while hauling. Awesome.